I read one of my old short stories yesterday. It’s one of my favorites but it’s far from my best. 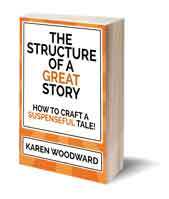 At the time I wrote it I knew a little about story structure, but I didn’t apply the knowledge I had. Why?! I can tell you from experience that knowing what to do is a long way from doing what you know. Implementing what you know, weaving that knowledge into the warp and woof of your story, that’s a tricky thing. And, for me, it has been the number one source of massive rewriting. I’ve written quite a bit about story structure but character development is just as, if not more, important. In order to get readers excited about what happens in your story you need to get them excited about who it happens to. Our Goal: We want the reader to identify with the character. We want the reader to cry when the character’s heart is broken and rejoice when it mends. Here are various traits or techniques that can help nudge the reader toward identifying with your characters. Sherlock Holmes isn’t just smart, he’s brilliant. He’s possibly the second smartest person in the world—behind his brother Mycroft, of course. In other words, his intelligence is exaggerated. Exaggerating a trait makes it memorable. Generally speaking, a trait won’t make much of an impression on a reader if they don’t remember it. Make the setting exotic. Fun. Different. Jim Butcher mentions four kinds of environments your characters can be in: social, geographic, intellectual, moral. Make sure each of these types of situations is interesting. Memorable. - Social: Your team is training to win an important tournament this fall. Or perhaps you are part of a team preparing to climb Devil’s Mountain. - Geographic: A far flung region of the globe. That is, far flung for your readers! - Intellectual: I think of Sherlock Holmes and Mycroft's club. What does the smartest person in the world do for companionship? He creates a club and then makes sure there’s a strict no talking policy! - Moral: A couple goes on what they think is a retreat to discover they’ve joined a cult! Communicate the essence of your character, through action, in a memorable way. Jim Butcher calls a "characteristic entry action" an action that can communicate the essence of your character. For instance, take Mr. Monk from the TV Series of the same name. The beginning of every episode reestablishes the essence of the character. Recall that Mr. Monk mourns the loss of his late wife, Trudy, and that he is a bundle of phobias and neuroses which all stem from his acute observational abilities combined with his fear of germs. He even has a saying: It’s a gift ... and a curse. One of his characteristic entry actions is straightening something—a pillow for instance—that is just a wee bit tilted. Once he had a cold and put his used kleenex in plastic baggies before he threw them out. Why? So that they wouldn't contaminate anything else. The TV Show, Archer, is especially good at communicating the essence of the characters through action. At the beginning of every episode their tags and traits (for an explanation of tags and traits, see below) are reintroduced. Also, often, there is a humorous ending where the tags and traits are reinforced again. And it works beautifully! 4. Verisimilitude: Make your characters believable. In order for a character to be interesting they must act believably. A big part of acting believably is acting consistently. Butcher notes that most of this work, making your character act believably, is going to take place in sequels. Tags and traits ... so much could, and has, been written about them. Briefly, a tag is a very short description of one concrete aspect of a character. Blue eyes, uses a whip, wears a cool hat. Jim Butcher advises having about one to three tags per character. For example, when I think of Indiana Jones I think of his whip, his hat and his leather jacket. When I think of Neo I think of his leather jacket and his sunglasses. A tag or trait can also be a mental attitude, for instance if someone is always glum or always chipper. Basically, anything that will make your character stand out from the rest, anything that will make them memorable. A terrific book on tags and traits is “Techniques of the Selling Writer”. 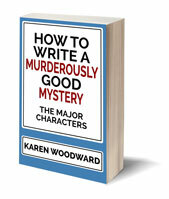 I’ve written about it here: Dwight V Swain On How To Write A Novel. 5. Empathy. 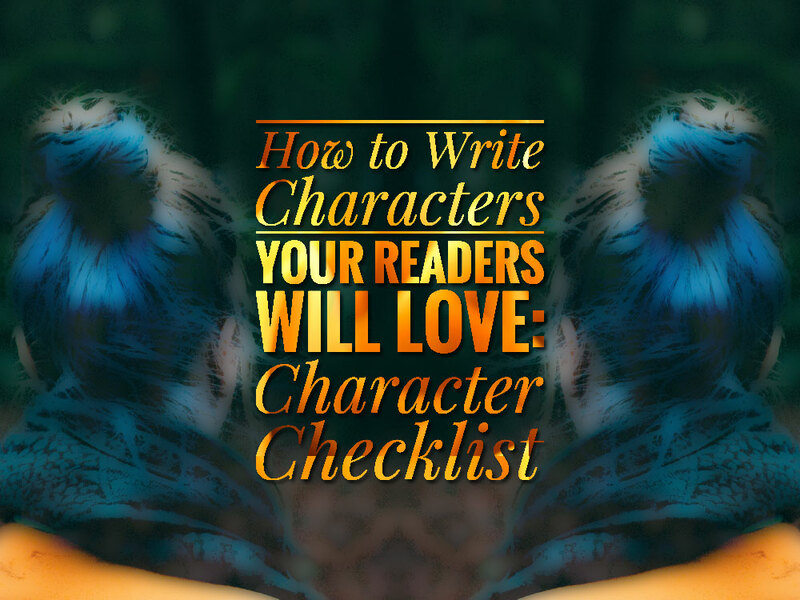 Get readers to identify with your characters. Sure, but how? One way is through shared experience. Chances are, what makes you angry (or sad or happy or ...) makes your readers angry (or sad or happy or ...). Give those kinds of experiences to your characters and they will become real to your readers. - What angers you? Think of a time when you were angry. - What saddens you? Think of a time of deep loss. - What irritates or frustrates you? Think of a specific instance. What happened? What did you react to? - What makes you joyful? Giddy? What has made you grin from ear to ear? What sort of things have made your day? When we see other people behave in ways we can relate to—when we watch them experience deep loss, transcendence, happiness, and so on—we identify with them. We begin to care about them. This is true for characters as well. - You’re driving to work on a day when you ABSOLUTELY can’t be late and, of course, you’re a stuck behind a slow driver. - It’s late, you’ve had a grueling day, you walk to where you parked your car in the parking lot but it’s not there. You stand in the middle of the vacant parking spot and look around like maybe it’s still there and you’re just not seeing it. A) Persecution. Have the protagonist be unfairly treated and lose something achingly important to him. B) Big Challenge. Have the protagonist take on something that takes him so far out of his comfort zone that he's on a different planet. Most folks won’t be able to keep from wanting the guy or gal to succeed. Also, humans being the curious types we are, we won’t be able to help wanting to know if the character will succeed or whether he will be a spectacular failure. - A character trying to protect something of great value puts herself in jeopardy by fleeing down a dark, dangerous, alley. - A character on a mission to find a great treasure ignores grievous bodily peril while using his experience and intellect to defeat the traps between himself and his prize. Does My POV Character Have to be Nice? Does a character have to be nice for a reader to empathize with them? I don’t think so. There are many characters who, though while not at all nice, are easy to identify with, empathize with. I love Sherlock, the TV Series. Benedict Cumberbatch portrays Sherlock as brilliant, egotistical and definitely not nice. But we can relate to both Sherlock and to his ‘everyman’ Watson. We can understand Sherlock’s occasional bouts of boredom as well as John’s impatience with them. That's it! I apologize for the long post. And for skipping Monday. Truth is, I'm working on a non-fiction ebook and I'm hoping (* cross fingers *) to get it out this weekend. I'm sponsoring this post with an affiliate link to Stephen King's marvelous exploration of good writing: On Writing. If you click that link my blog will get a tiny percentage of anything you buy on Amazon for the next 24 hours. Excellent article. I need to go through my WIP for this.